There are certain social conventions and assumptions that are normally made by people engaged in meaningful conversations. Vocabulary and the rules of grammar combine with knowledge of the situational context to fill in what’s missing and resolve ambiguities. For example, when we ask at the dinner table whether somebody can pass the salt, we are not literally enquiring as to their physical ability to lift and move the salt container. ‘Make your contribution such as it is required, at the stage at which it occurs, by the accepted purpose or direction of the talk exchange in which you are engaged. Though phrased as a prescriptive command, the principle is intended as a description of how people normally behave in conversation, to ensure that what they say in a conversation furthers the purpose of that conversation. The principle describes the assumptions listeners normally make about the way cooperative speakers will talk. Thus the cooperative principle works both ways: speakers (generally) observe the cooperative principle, and listeners (generally) assume that speakers are observing it. This allows for the possibility of implicatures, which are meanings that are not explicitly conveyed in what is said, but that can nonetheless be inferred. For example, if Alice points out that Bill is not present, and Carol replies that Bill has a cold, then there is an implicature that the cold is the reason, or at least a possible reason, for Bill’s absence. This is because Carol’s comment is not cooperative — does not contribute to the conversation — unless her point is that Bill’s cold is or might be the reason for his absence (see the Maxim of Relevance below). If Bill’s cold had nothing to do with his absence, then Carol’s comment would be irrelevant, misleading and thus uncooperative to the conversation. The cooperative principle can be divided into four maxims, called the Gricean Maxims, describing specific rational subordinate principles observed by people who adhere to the overarching cooperative principle. Grice proposed four conversational maxims that arise from the pragmatics of natural language. The Gricean Maxims are a way to explain the link between utterances and what is understood from them. Do not say what you believe to be false. Do not say that for which you lack adequate evidence. Make your contribution as informative as is required (for the current purposes of the exchange). Do not make your contribution more informative than is required. Be brief (avoid unnecessary prolixity). Without cooperation, human interaction would be far more difficult and counterproductive. Therefore, the Cooperative Principle and the Gricean Maxims are not specific to conversation but to verbal interactions in general. For example, it would not make sense to reply to a question about the weather with an answer about groceries because it would violate the Maxim of Relevance. Likewise, responding to a simple yes/no question with a long monologue would violate the Maxim of Quantity. Ms. Luisa Casati has asked me to write a letter on her behalf. Let me say that Ms. Casati is unfailingly polite, is neatly dressed at all times, and is always on time for her classes. Jeremy has violated the Maxim of Quantity by providing insufficient information as to Luisa’s suitability for further study or employment. He has also violated the Maximum of Relevance by discussing some of her positive personal qualities, but which are not centrally relevant to her abilities as a student or employee. Jeremy might have deliberately violated these two maxims in an attempt to be truthful whilst not hurting Luisa’s feelings (so as not to violate the maxims of quality or manner). He may thus be conveying a subtle negative message to the reader by the nature of what he has left out of the text rather than what he has included. Assuming that Jeremy’s letter is rational and purposeful, then in my view it does not disprove the maxims in question. Indeed, by deliberately violating these maxims, the letter may well be conveying a subtle negative meaning that might not be conveyed if these maxims did not exist. That is, if the Gricean maxims did not exist, and the letter was read literally and simply, then the letter may convey only a positive message that Jeremy might not really intend. Speakers who deliberately flout the maxims usually intend for their listener to understand their underlying implicature. 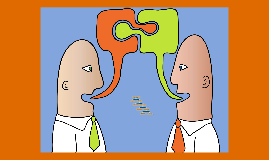 Conversationalists can assume that when speakers intentionally flout a maxim, they still do so with the aim of expressing some thought. Thus, the Gricean Maxims serve a purpose both when they are followed and when they are flouted. Fromkin, V., Rodman, R., Hyams, N., Collins, P., and Amberber, M., (2009) An Introduction to Language (6th edition) South Melbourne: Cengage Learning. pp. 196-7. Indeed, it is thought that one of the main limitations to artificial intelligence is that machines are likely to interpret language too literally, unless they have been programmed with all the knowledge of situational context that humans accumulate over a lifetime. Grice, Paul (1975). ‘Logic and conversation’. In Cole, P.; Morgan, J. Syntax and semantics. 3: Speech acts. New York: Academic Press. pp. 41–58.